The Precisa models of the LS series combine precision with comprehensive user friendliness and an appealing design. 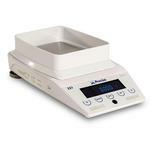 Its reliable integrated weighing technology is extremely robust and long-lasting. Users can rely on this model range even in the toughest ambient conditions. A highcontrast display offers perfect readability in any environment. Discerning experts at work in laboratories and industry accept no compromises in their working environments. And that is precisely why leading specialists around the world place their trust in Precisa. That’s because Precisa products are prime examples of Swiss perfection and reliability. They have proved themselves for decades in more than 100 countries and are subject to rigorous quality checks throughout the entire production process. Precisa invests continuously in developing new technologies and employs a highly qualified team of specialists. Precisa users around the world benefit from a competent service, fast reaction times and customer-oriented solutions. Anywhere, anytime. PRECISA DNA PURE: THE NEW SERIES 321 LS. Universal use The LS models of the 321 series are extremely reliable and long-lasting thanks to the proverbial Precisa technology. They fulfil and exceed every relevant international standard. User-defined settings make them both, easy and intuitive to use. The LS series offers competent all-rounders with a broad range of applications. 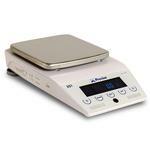 Simple operation The draft shield on the analytical balances is designed for easy and convenient use. A direct view of the sample plate makes sampling so much easier. They are also very easy to keep clean. A 5-key operating field structures the many applications in a very user-friendly manner and significantly enhances the use of the LS Series. 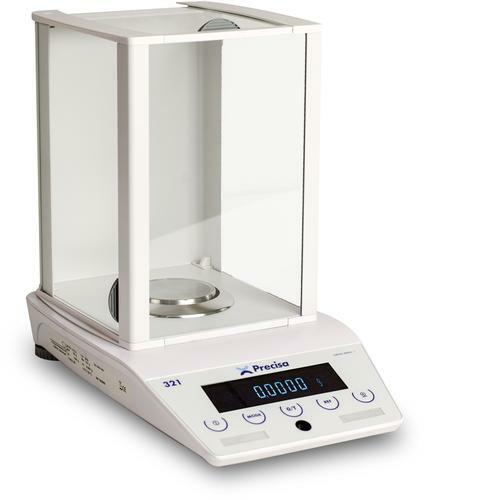 Self-calibrating system SCS The often-copied self-calibrating system developed by Precisa allows automatic calibration. This function can be temperature- and/or timer-programmed so that the user has access to a fully calibrated instrument at precisely the right time. This option is frequently used in particular in regulated environments (GLP). The 321 LS series is available with IP65 industrial protection as an option. IP65 protects against ingress of dust and water splashes. Data management A USB or serial interface makes it easy to transfer data to higher level systems (LIMS). Precisa provides the corresponding software (BALINT) free of charge that is also available for downloading from the Internet. It couldn’t be easier.